Award-winning and innovative, Saturn vehicles live up to their motto, "A different kind of car".During production from 1985-2009, Saturn vehicles were American favorites. 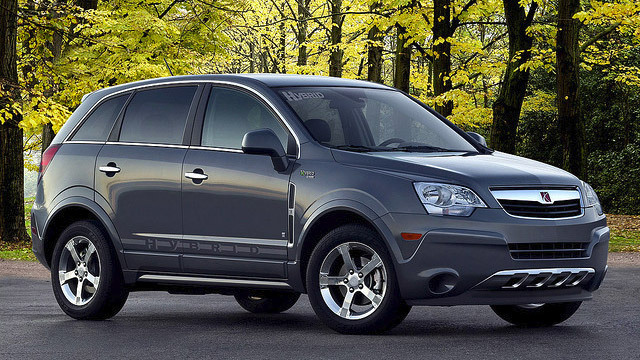 Most notably, in 2007, Saturn's Aura was honored as the North American Car of the Year. Though the Saturn brand is no longer in production, the high quality of Saturn vehicles allows them to remain a popular choice for vehicle owners. Saturn is a brand you trust, and a trusted vehicle needs service from trusted mechanics. Like you, we understand that a dependable car requires high-quality service to keep it in optimum condition. Whether your Saturn is a sedan, crossover, hatchback, minivan, coupe, roadster, or even an electric model, our shop offers the highest-quality service for all of your Saturn's needs. From routine maintenance to major repairs, our expert technicians stand ready to offer nothing less than the best in customer and car care. Unlike other shops, we don't just focus on the job under the hood. From the moment you enter our door until you drive away completely satisfied, we strive to offer a superior customer experience. You didn't settle when you chose your Saturn, so don't settle when it comes to choosing its care. Keep your Saturn in top condition by giving your vehicle the top-quality service it deserves- Call our shop or stop in to schedule your service appointment today!